Protesters in Haiti who are demonstrating against high unemployment rates and skyrocketing inflation have made it impossible for about 100 Quebec tourists to reach the airport. About 100 Quebec tourists are stranded at a resort in Haiti due to violent, week-long street demonstrations. 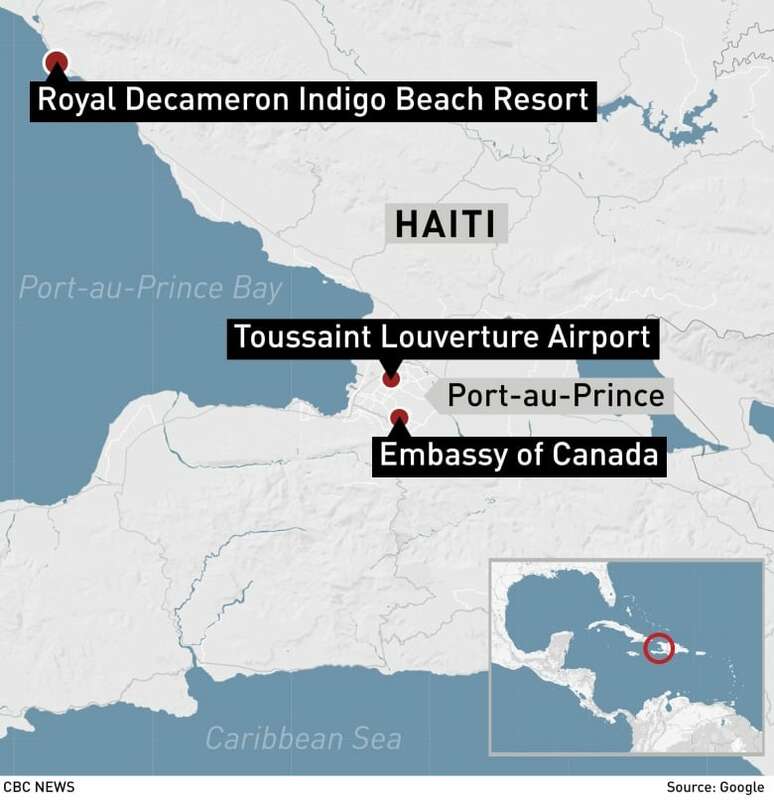 The tourists bought all-inclusive vacation packages with Air Transat for the Royal Decameron all-inclusive beach resort, 80 kilometres northwest of the capital of Port-au-Prince. But now they're stuck because of the protests against high unemployment rates and skyrocketing inflation that are blocking roads and making it impossible for buses to transport the tourists from the resort to the airport in Port-au-Prince. 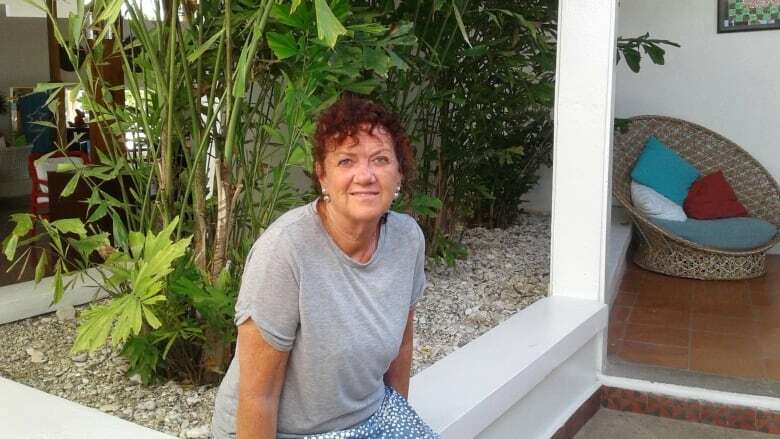 Terry Watson of Sherbrooke, Que., is at the resort and was supposed to return from her week-long vacation last Sunday. Watson and other travellers rented a helicopter to bring them to the capital, but by the time it arrived, their flight had already left. "We're very nervous. People have a hard time sleeping, everybody's worried, some people are sick, they need medication," she told CBC's Quebec AM. "We heard yesterday that [the unrest] could last a long time. We don't want to be stuck here for months." The resort is about 80 kilometres northwest of the airport. She said people are worried because no one is giving them information — all they're being told is to stay at the hotel. The resort, which is about a 90-minute drive from Port-au-Prince, is surrounded by guards. Watson said she feels safe there. It's not just vacationers who are trapped — 26 missionaries affiliated with La Bible Parle, a Christian group, were supposed to return to Quebec Wednesday but are stuck in a village about 200 kilometres outside the capital. Michel Bougie, vice-president of the group, told Radio-Canada those 26 people were mainly offering services in a medical clinic, as well as co-ordinating construction projects. The mission's director, Clermont Deschênes, said morale is good in the group despite the situation. "For sure, we're going to leave Haiti, we just don't know when," he said. The worry he said, is that some of the missionaries are on medication, which will eventually run out. 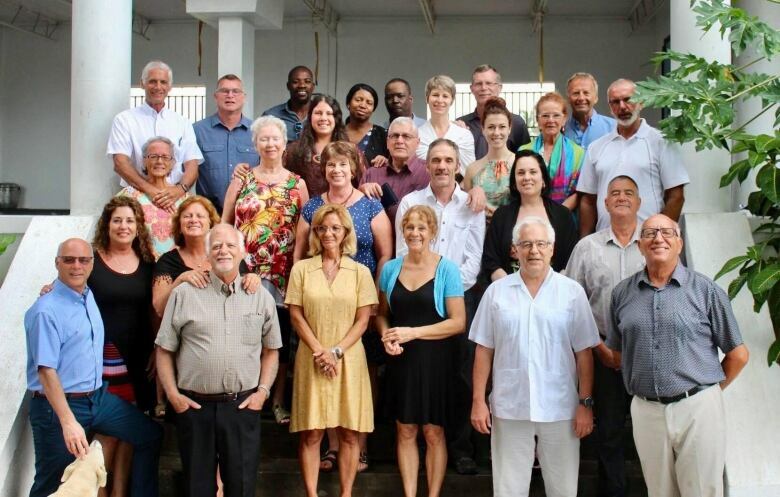 The missionaries aren't in imminent danger, added Bougie, who isn't in Haiti with the group. A doctor and some nurses from New Brunswick have also been blocked from getting to the airport. The protests began Feb. 7 and have worsened — seven people have died. On Tuesday, Global Affairs Canada issued an advisory warning against all non-essential travel to the country. By Thursday, it was advising against all travel. 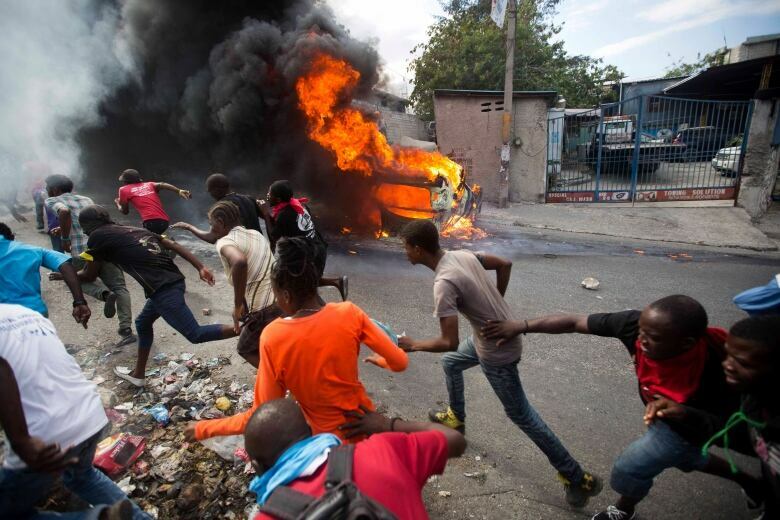 The Canadian Embassy in Haiti was closed Wednesday and remains closed due to the unrest. "Consular services are being provided to Canadian citizens in Haiti and we stand ready to provide assistance to Canadians who require it," Global Affairs spokesperson Richard Walker said in a statement. Walker added that the agency is working with tour operators to provide consular services and ensure their clients can leave safely. Canadians in Haiti or who have information about loved ones in the country are being told to contact the Emergency Watch and Response Centre (EWRC) at 1-613-996-8885 or by email at sos@international.gc.ca. Quebec's International Relations Minister Nadine Girault said the province is in touch with Foreign Affairs Minister Chrystia Freeland's office about the situation. "We're following the situation very, very closely," she said. Debbie Cabana, spokesperson for Air Transat, told Radio-Canada they have a vehicle on standby to bring the tourists to the airport once it's safe to travel. She said there is a representative at the hotel 24 hours a day to answer clients' questions. There are only two scheduled Air Transat flights out of Haiti per week. The next one is Sunday, but the airline is trying to get the tourists out before that day.